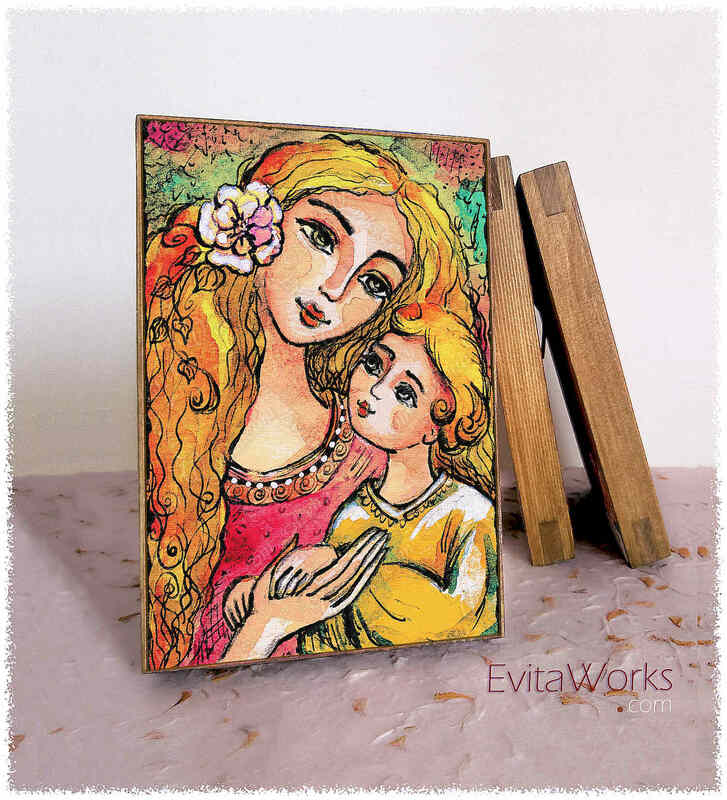 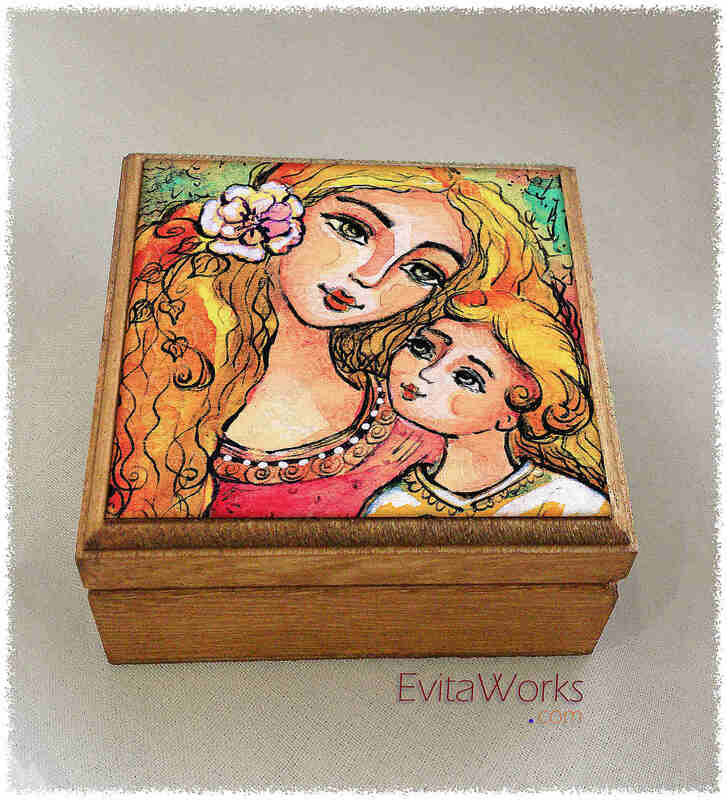 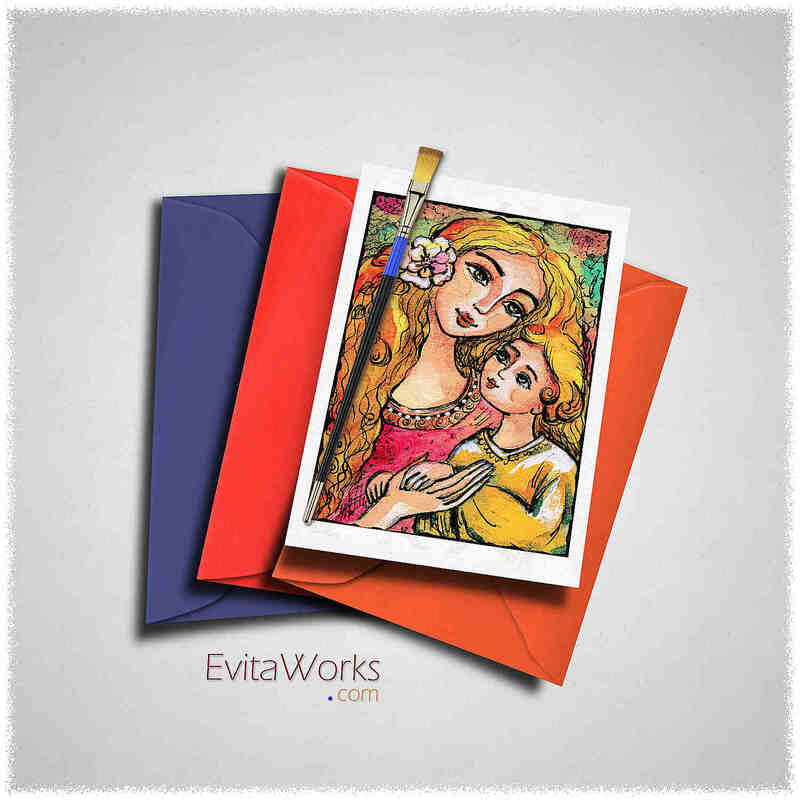 This item is based on our original painting, named “Mother and Child in Yellow”. 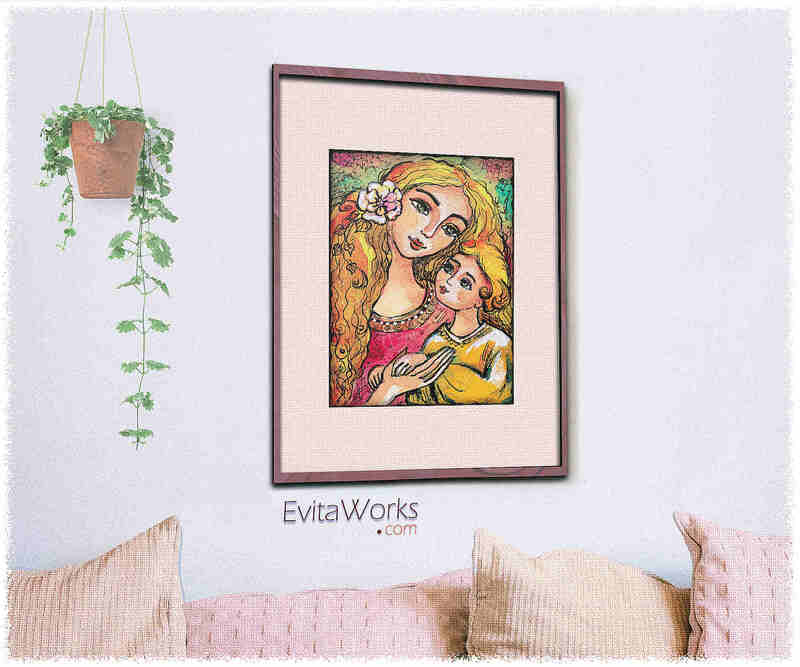 It depicts a beautiful and youthful loving mother, with an attentive and affectionate child nestled in her arms holding her hand. 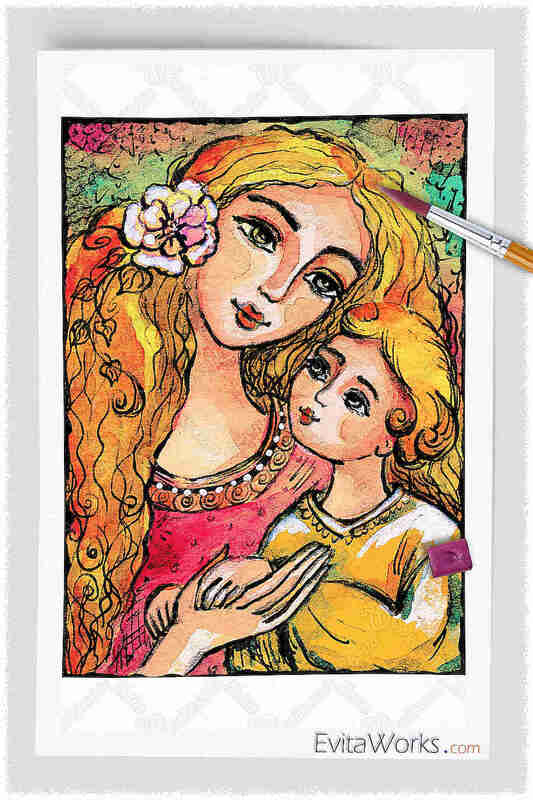 The original was painted with acrylic on paper, in vivid color nuances of yellow, red, green.